The Nigerian Army on Sunday said it had begun the de-radicalisation of 43 Boko Haram insurgents who recently surrendered in Borno. A statement signed by Col. Onyema Nwachukwu, Deputy Director Army Public Relations, Theatre Command, and made available to newsmen in Maiduguri, said that the insurgents were airlifted to Gombe, to begin their de-radicalisation and rehabilitation programme. The de-radicalisation programme is being run under the “Operation Safe Corridor “initiated by the Federal Government. The programme was designed to encourage the insurgents to lay down their arms and join the de-radicalisation programme for reintegration into the society. The Theatre Commander, Maj.-Gen Ibrahim Attahiru, said in the statement that the insurgents would be given a new lease of life to join the society during the three-month de-radicalisation and rehabilitation processes. “I urge you to embrace and undertake the programme whole-heartedly, to enable you to benefit and positively re-orientate your views about life and the society in general. “I call on all other insurgents to abandon the futile struggle and reject the hypocrisy of the Boko Haram leadership, who live in affluence, while their foot soldiers die in hunger,” Attahiru said. 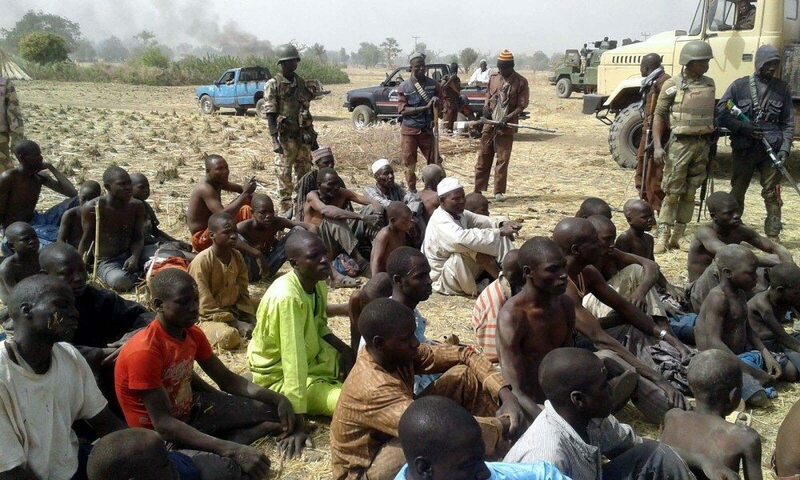 The statement added that more than 70 Boko Haram insurgents had earlier in the month, surrendered to troops in the North-East, taking advantage of the window of grace provided by the Federal Government for insurgents. The 43 were on Saturday transported to Gombe where they are to begin a de-radicalisation and rehabilitation programme under the auspices of Operation Safe Corridor.